Broadway’s hottest love story is coming to Australia, with the massively successful musical ‘Rock Of Ages’ hitting Melbourne’s Comedy Theatre from Saturday April 09. Nominated for five Tony Awards, ‘Rock Of Ages’ is chock-full of some of your favourite ’80s classics from the likes of Starship, Poison, Pat Benatar, REO Speedwagon, Foreigner, Bon Jovi and more. And what’s more, the Australian production features a rather solid musical pedigree, with End Of Fashion singer Justin Burford in one of the lead roles. Tickets for the show are on sale now through Ticketmaster, but we’ve been given five fab double passes to head along and see one of the exclusive previews. That’s right, five lucky buggers and their partners will be among the first to see the musical in Melbourne – on either March 24 or March 29. See, we have three double passes to give away to the preview performance on Thursday March 24. And have two double passes to give away to the preview performance on Tuesday March 29. For all you need to know about the show, hit the OFFICIAL WEBSITE. For the chance to win, simply send us an email containing your name, postal address and contact phone number to auspOp@ymail.com. If you’re interested in the tickets for March 24, put ‘ROA 24’ in the subject line. If you’d prefer to pop along to the March 29 show, put ‘ROA 29’ in the subject line. If you want to go into the draw for both, send separate emails following the instructions above. It couldn’t really be any simpler, but hurry – you’ve only got ’til the end of February to enter! Competition closes at 11:59pm AEDST on Monday February 28, 2011. Strictly one entry per household. Winners drawn entirely at random. By entering this competition, you agree that you are 18 years of age or older. 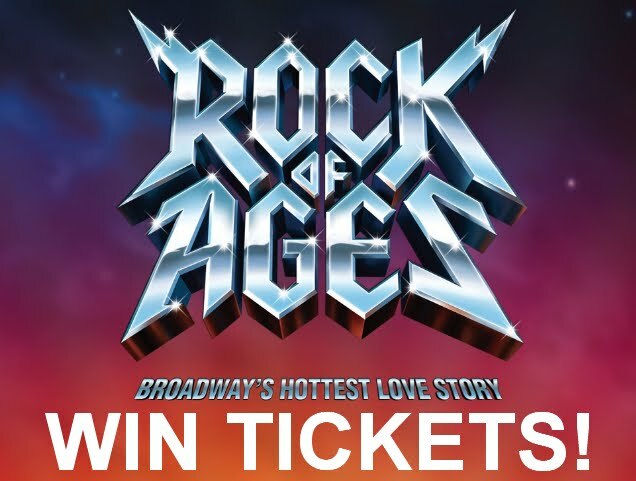 Three lucky winners will each receive a double pass to the preview performance of ‘Rock Of Ages’ in Melbourne on Thursday March 24. 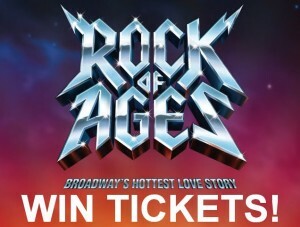 Two lucky winners will each receive a double pass to the preview performance of ‘Rock Of Ages’ in Melbourne on Tuesday March 29. Winners’ first names and suburbs/towns and states will be published on the site on Tuesday March 01, 2011 and winners will also be notified by email. Travel to/from the event and all other associated costs are the sole responsibility of the winners. This prize is for the tickets only. Winners’ addresses will be forwarded to the event publicists solely for the purpose of prize distribution and contact telephone numbers will be used in case of emergency contact only… Remember, we’re rather fussy when it comes to keeping your details private, so they’re never passed on to any third party unless previously advised.